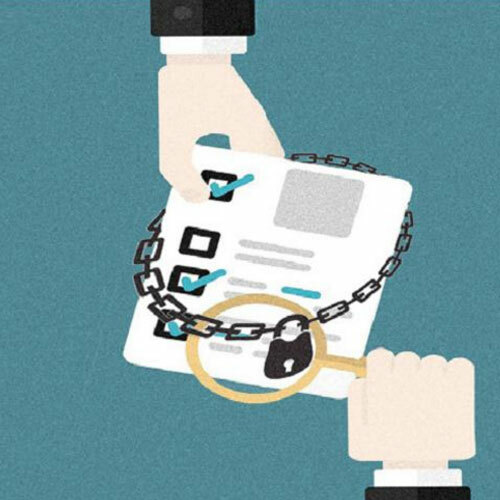 "Security & Compliance for Financial Services"
Is your financial service firm meeting the security compliance standards? If you are delaying cyber security and compliance, then your organization is more exposed to vulnerabilities and cyber attacks. 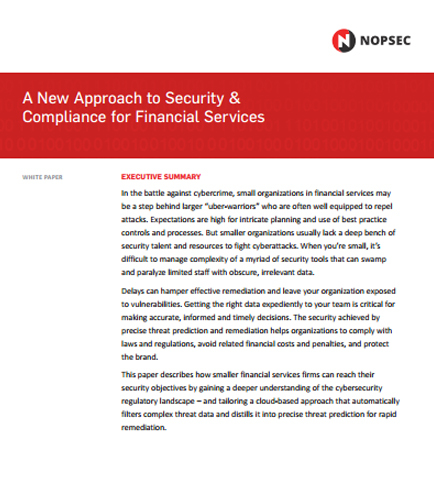 How can smaller financial firms reach the security and compliance objectives? What are the general areas of financial compliance that can affect your organizations? What are the top factors driving new spending on information security compliance in financial services? Gain an insight on how smaller financial services firms can reach their security and compliance objectives by gaining a deeper understanding of the cyber-security regulatory landscape. How to find the risks and opportunities in your storage environment? Many organizations’ storage infrastructures have grown rapidly and chaotically, which has resulted in massive amounts of poorly organized file data that grows and is used in ways that are often hard to understand. This whitepaper helps you to understand the risks and opportunities in storage management and why full volume of data increases the complexity of data storage environment. Challenges in data storage and management: Preventing data loss Continuous high quality service Cost reduction What are the solutions available for data storage and management? What is ILF Model and the policies used to reduce the flow of data? Download this whitepaper to find the risks and opportunities in data storage management.